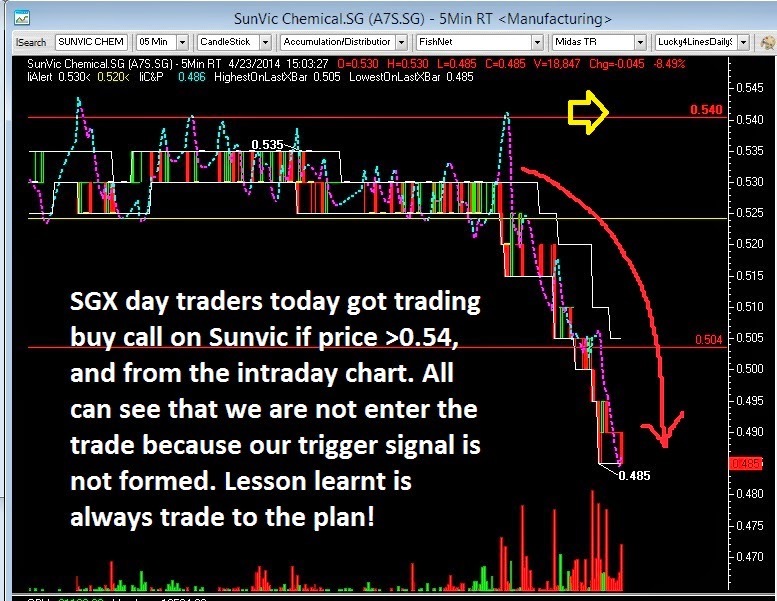 SGX Day Traders: 2014 Apr 14-- Sunvic lesson learnt, Always trade with a plan! 2014 Apr 14-- Sunvic lesson learnt, Always trade with a plan! SGX day traders today got trading buy call on Sunvic if price >0.54, and from the intraday chart. All can see that we are not enter the trade because our trigger signal is not formed. Lesson learnt is always trade to the plan! Sunvic morning buy call here.